Just tell me what your deal is! Yes, be up front with me! Tell me what your thinking is! Let's sail charted seas! Life's made short, so why live lies? Long life must then betray you! As time goes by your lie's found out; your *life-styles* bugger virtue. Just indicate your thinking, please! Include those darkened corners. Or, showing real courage? Make your self your own informer! ...Spend ANY time outside at night ... Just keep on looking up? You SEE the damnedest things appear! "These ain't just coffee cups"! Most folks thinking: something's in... the night, and day skies, too! These are qualifying folks, good friend, believing what is true! Christ, you can see it on your CRT... ...from the Hubble's humbling reaches…? The planets? ...Numbered grains of sand... on a billion planets beaches! Drake works out "equations," and assumptive though they are? Its suggestion, rather strongly? There are aliens, near... not far! Too, I know that change is scary! Compare these, friend; we must! ...What WE'VE performed *discovering* ... someone not as strong as us! Yeah, we've *pacified* the natives. We'd *domesticate* the few. The rest we'd treat like animals! Hell, we've cooked some up for stew! ...It comes to that? We'd fight them...!...But, the inverse could be true! It could be... ...they're teaching us... ...To widen up our view! All we want's best satisfaction! ...Though, it can't be bought with money. Raw wealth and pleasure palaces? They're empty spaces, crumbling. Just tell me what you're doing! Where does the money go? I fear the world I live in! I want answers someone knows! You'd say I don't want to know... I'd say you don't want me to know! The "why" is the edge-of-your-seat stuff. You know who you are... the rest are cursed as your unwitting facilitators, surrogates, and fan boys. The deplorables. See, does the UFO mean more autonomy for the individual? 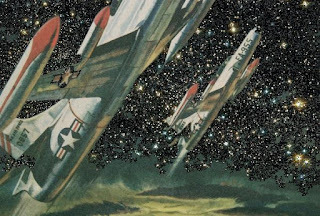 Could UFOs mean that the individual could more easily secede from the "approved"—if derelict—institutions and organizations only abusing the individual? Could UFOs mean that more individuals might have their own castles in a burgeoning 21st Century middle class? That's what scares the man the most. An autonomous individual, you see, must be treated with the same concern and respect that the man reserves for his few equals. ...Can't have THAT! Autonomy is a club where membership can only be secured by buying in and who can buy in has a privileged titration, sieve, or locus. The demonstration of that "respect" for titration, sieve, or locus costs money and power. The man is reluctant to pay that out to anyone, even his own! Forget everyone else. For every Musk there are a dozen Mercers. I think most people are driven into isolation from a perceived threat. That threat doesn't have to be real, mind you. That threat CAN be a ruse used to manipulate and coerce. Your *tree* produces fruit, reader. ...You happy with the quality of your fruit or lack of same? I suspect you are, and that's the problem, neatly. Conversely, people want to get along! These must not be trained, encouraged, and otherwise falsely convinced to go the other way! Squeeze a lemon and the juice goes in your eye. 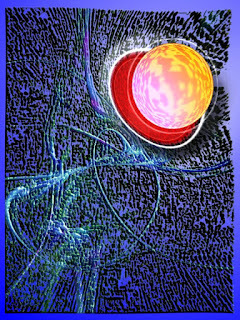 In a similar fashion, a good, credible philosophical "deal" is just not perceived from the dust-bowel environs of comfortably klasskurtxian and pelicanistic skepti-bunky apologists... ...uber-anthropomorphic brigands most likely the root cause of ALL the unshared misery seriously fountaining from this... aggregate lack of respect and minimized individual responsibility we've practised... we've endured ... across the board! Bear with me here. There is too much respect meted out to that which has no respect for you, reader. We're not being true to ourselves. We're not respecting ourselves. Consumed with self-hatred? We're not loving ourselves, so tragically, we have no capacity to love outside ourselves. Us or them! This would go a long way to explaining that "not landing on the White House lawn" thing. Eh? It may even justify a conjectured quarantine. Yeah, I broad brush, but a lot of the paint still sticks. No apologies here. Before: Institutional infidelity, by the book official obfuscation, and Fish in Denmark. Officiality would appear to stumble. Simple addition fails to add up. Intellectual cowardice seems manifest. The four persons at the Tyndall tower in control of the jet when it vanished offered absurd answers to the investigating board! They were vague in giving specific information throughout the meeting. Furthermore, during most of the assemblage, these tower controllers failed to give the investigators the specific times of the jets location throughout its flight, even when asked point blank! Why were these tower controllers being so evasive with their answers to the board? Why were they conducting themselves regarding details about the incident like it was pulling eye teeth? Why were they so evasive in giving pertinent times that would reconstruct a timeline of events? Why were they even allowed this inexplicable recalcitrance?! It seems obvious to this writer that the tower men were avoiding the questions so as to not be forced to reconstruct a timeline painting a very different picture of events from what actually occurred! As recorded unquestionably, the answers given by those officials in control of the jet were professionally abominable and a disgrace to the two vanished pilots who disappeared under their watch! Well, that first board didn't fly! A second board was convened, "in order to reach a comprehensive conclusion in the case," according to the AAIB. Here reader, after further review which included unwarranted, unsubstantiated, and degrading "second thought" accusations against the pilot, the board revealed their conclusion in a "Report of AF Aircraft" paper. "The primary cause of this accident was that the pilot failed to keep himself oriented at all times while on instruments." As alluded too, this writer was a master military aviator. The preceding is a handy goto in blame assignment, especially when the pilot's dead. The document also states that the "Contributing cause factors" concerning the missing jet blamed both the pilot and Tyndall Tower controllers; "1. Pilot failed to exercise proper emergency facilities available to him. 2. Tyndall Tower failing to properly advise the pilot to declare an emergency and go to the emergency 'D' channel." Well there you have it reader, both the pilot and the tower were at fault! Wait! This is not over yet! Three days later, a "REBUTTAL STATEMENT" by the Tyndall "Tower Officer-In-Charge was filed to clear the tower men of their incompetence and put the entire blame on the pilot. Later, in January of 1953, this rebuttal was approved and any other persons previously castigated were officially stricken from the record by the "Acting Deputy Inspector General"! The hapless pilot was given the full blame for his own disappearance! The cause was determined to be: "Pilot's failure to exercise emergency facilities available to him." Blame the dead guy is ever the rug under which an inconsistency can always be swept... where that is allowed. Again, the "contributing cause factor" of the missing jet was blamed on the pilot or "pilot error." 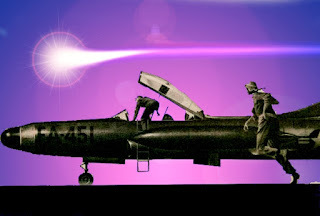 Subsequent to his error, the jet was said to have "flamed out" or run out of gas! But wait! 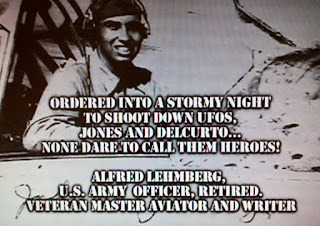 Upon further analysis and review, Feschino discovered that the stories provided by the Air Force to the newspapers, as compared to the information contained in the original ADC telegrams and Tyndall letter to the family, and then the 65-page accident report... were NOT the same! That's just... sloppy! This cannot be the result of TWO Flight Evaluation Boards! Yet, it was. Yes, each version of the missing jet was demonstrably different from the others, each containing varying accounts of the whole affair! For example, Feschino discovered that the 65-page report actually contained THREE different times where the jet was said to have run out of gas and "flamed out." This is an occurrence, the reader is reminded, that can only happen once! Yet, this point was never raised or addressed during any of the two boards held at Tyndall AFB, which were said to be, "strictly fact finding" by Major Pompetti, the acting president of the "Aircraft Accident Investigating Board." Sincerely, no "facts" were found, iterated, or examined! Additional examples of this cover-up show that during the initial press conference, for example, it was never said that Jones was flying his F-94B with any other F-94 B jets on this alleged "routine weather training mission." Yet the Tyndall AFB letter from Kleine to the Jones family stated there were "three other aircraft" with him during the mission ...and Chidlaw's original telegram to the family stated "all aircraft." Finally, the Aircraft Accident Report revealed that there were actually FIVE other jets that were part of that "B" flight mission that day! Why the varying information concerning the number of jets with Jones during the period specified? ...Just sloppy, or contrived obfuscation? 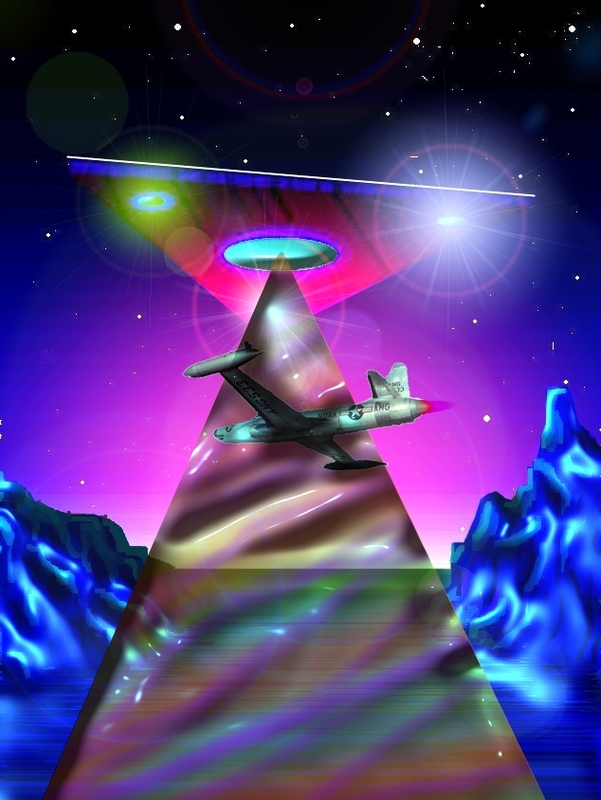 A mysterious complication had also arisen that day, perhaps kicking off the cover-up of the missing jet... later spiraling an operational reality into a web of spackling lies and contrived deceit. It all began with "a set of unusual circumstances" at Tyndall AFB. It was reported that Tyndall Range (specifically Navigation communications/radio NAV) went off the air after an hour into the mission of "B" flight! Several pilots advised that their radio compasses were inoperative and all they could hear was static. Needles no longer pointed to navigation stations. That's not good. Air war with ET at night? The explanation: this was said to have occurred during an "alleged power change-over to test the emergency power at the base"... This, during the exact time three jets were just beginning letting down procedures! This simply does not happen, reader! You don't screw around on tests with aircraft in near-emergency trying to get down! Nonetheless, one of those jets was being piloted by Jones! What was that, reader? An unscheduled power change-over test taking place at the base during the time when numerous jets were just descending propitiously to land likely low on fuel? Who would authorize that ridiculous and dangerous order, this writer and retired military master aviator asks? Then disaster strikes! At switchover, the emergency power failed to go on at that point and the radios failed to operate for a full five minutes. Subsequently, the power maintenance personnel were allegedly contacted on landline and advised to reset the commercial power by these concerned tower controllers. This is an absurd explanation! Who pulled the switch for the radios, and why? Here, reader, is the point in time where the story loses any coherence and just spirals out of control. Posted: the convoluted lies and cover-up all seem to have begun here at Tyndall AFB on September 12, 1952! There's a book about this. What actually caused the base to lose power, and what happened during those lost five minutes? This, friends and neighbors, might be seen to be the beginning of the end of the Air Force's cover-up concerning missing jets! See, upon further analysis and review to reach a coherent conclusion, remember, Feschino discovers that the original story given to the newspapers by the Air Force spokesmen, when compared to the information contained in the original ADC telegram and Tyndall letter to the family, and then the 65-page accident report... flatly, there were NOT the same! Each version of the missing jet was inexplicably different and contained varying accounts of the whole affair! How is this overlooked in two flight eval boards? 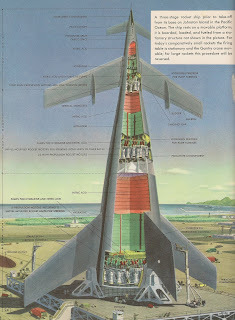 After years of inquiry and with all the information he had in hand, Feschino put together a meticulous timeline of events recreating the scenario as told by the Air Force. His concise initiative shows authorities to be perpetrating a seeming massive cover-up, perhaps! He found that the circumstances of events involving the disappearance of the two airmen and their jet did NOT happen the way the Air Force explained it. 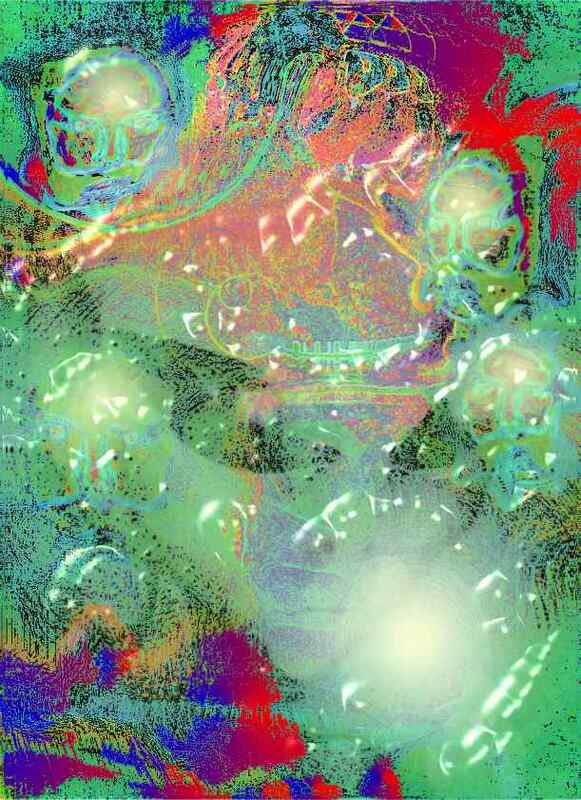 That scenario, chronicling a vast impossibly, was without challenged sense! The story, especially given the loss of life and high dollar machine, just didn't add up. This "futile flameout" allegedly occurred over the Gulf of Mexico about 70 miles northwest of Tampa. The F-94B jet was reported to be on a southeast heading toward Tampa's MacDill AFB and being guided by their control tower after being handed off by the Tyndall tower controllers. 1. When Jones was flying southeast across the Gulf of Mexico and supposedly, lost and low on fuel, why didn't Tyndall tower redirect him back towards their home base instead of guiding him all the way across the Gulf to MacDill in Tampa? The weather was better. In actuality, close examination of Air Force records shows that the F-94B jet was being directed into increasingly adverse weather conditions as it traveled southeast toward Tampa! 2. How did the MacDill AFB lose track of this jet when it was in last voice communication with the pilot and simultaneously tracking it on radar? For The Record: MacDill AFB had a massive ground control approach radar nicknamed, "HOMER." 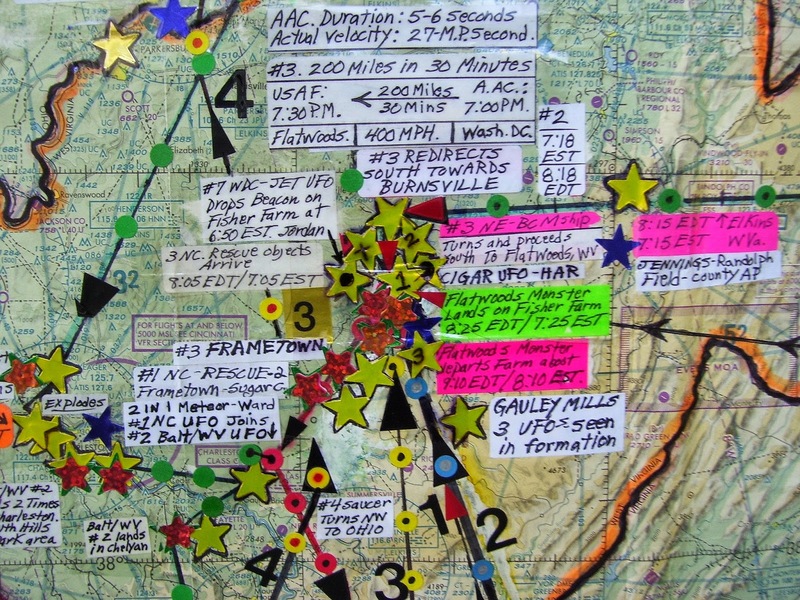 Additionally, it's noted that during the course of this entire episode that Jones was supposedly lost and FUBARing around over Florida, the Gulf of Mexico, and Georgia, he was in voice communication and being tracked by radars in the following locations... yet the USAF still couldn't get this jet back home and on the ground. A. Tyndall AFB, Panama City, FL. D. MacDill AFB, Tampa, FL. 3. Was this jet actually lost throughout the southeast or was it directed to and actually chasing a UFO and being guided by Air Force radar? 4. Why did Jones and DelCurto fail to eject from their plane after it allegedly flamed out? A mission planned over water would have some kind of crew flotation. That was the rule when this pilot served just a few years later... No, sounds all too familiar, folks. Money paid, the reader takes his chance. 5. The jet was said to be lost (four radars?) and low on gas, then disappeared approximately 70 miles off the west coast of Florida over the Gulf waters as it headed toward MacDill AFB. At the time of the jet's disappearance, it was in communication with MacDill tower. This writer asks: Since the approximate last location of the jet was known, why was the Air Force unable to find any wreckage of the jet or the airmen's bodies? Consider, too, a sobering quote made forty years ago! In reference to lost American airmen and their aircraft in his 1977 book, Situation Red, well-known UFO researcher Leonard Stringfield wrote that, "...Back in the early 1950s, when I knew of the jet scrambles that sometimes led to disaster, I agreed with Keyhoe's writings that in these we may know the intent of the UFO. I also agreed that 'losing our aircraft to the UFO' may have been the reason for official secrecy, fearing the public would panic if they knew the truth." The injustice of all this official, even IF well meaning, obfuscation and slight of hand buggers belief, reader! ...Throws it over a wing-backed chair and has its way with it! ...That such selfless nerve of valiantly gallant men should earn these repellently unjust "rewards" of censure and condemnation. Outrageous! Courageous men, brave and true, were killed in bizarre and inexplicable situations or never seen again, but subsequently remembered as unremarkable failures of their National faith and military professionalism, running out of gas or just steering into the ground, panicked in flights of two, three, and four, officials would have us believe. 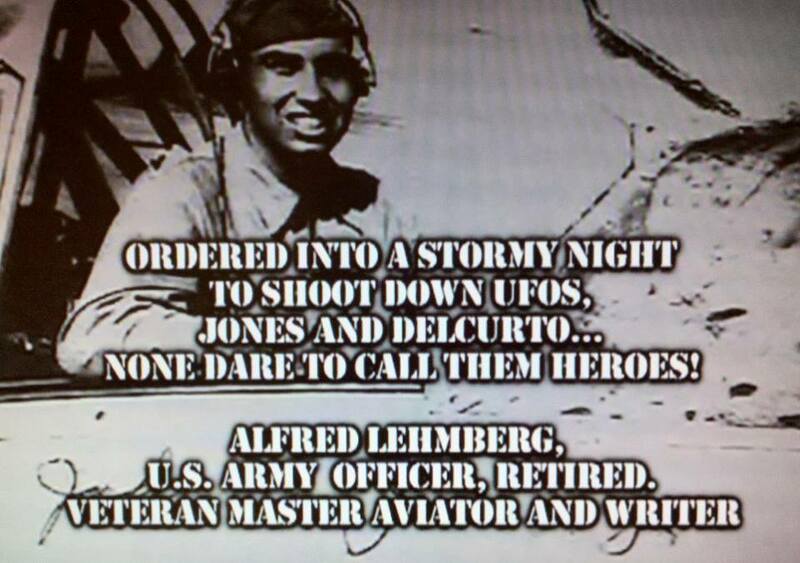 This writer was a military aviator, a Master, awarded Master Wings. This is just the way a fallen pilot would NOT prefer to be remembered, eh? ...And for what? To keep us in our infant's crib and beholden to psychopaths and oligarchs, milking what's left from fossil fuel to degrade the life quality of working people denied their keys to inner and outer space?! Mores the rub! Courage is betrayed! Cowardice is institutionalized. Shambling in devolution to its alternative Bethlehem to be born, a Nation would seem to abdicate its nobility, the remotest ability to see beyond itself... all enlightenment and personal enrichment—any reasonable and appropriate satisfaction—self-denied! The Low Road. There's a higher road. This writer suggests that higher road. 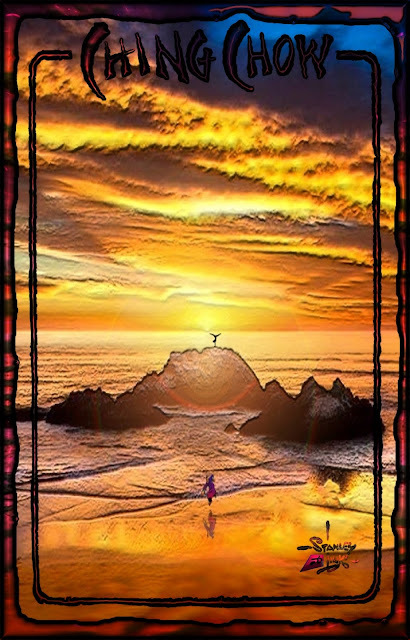 Embrace the conjecture that we cannot be alone in a universe of space, time, and surface area, areas easily hidden behind a grain of sand held at arm's length anywhere in the day or nighttime sky. 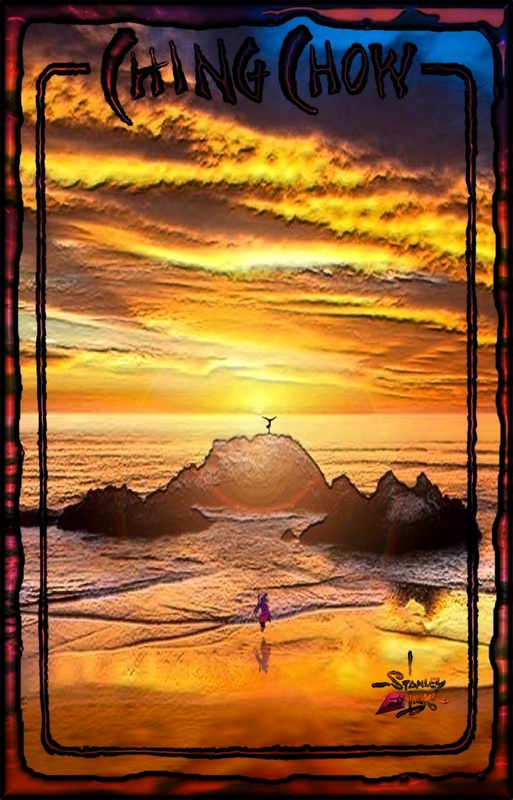 Wrap your arms around this yawning expanse to achieve a new humility sans all hubris... elevate yourself higher than you would have imagined, rewarded by unending frontiers currently hidden by a virtual infinity of those self-same sand grains. We begin by honoring the memories of men and women bravely fallen in our service. Be intrepid, gallant, and fearless like Lieutenant Jones. Celebrate persons of consummate bravery; don't dismiss, degrade, and defile their memory for the short-sighted convenience of men not worth a back-hand from the pilots they betray! Bad news does not get better with age, if it is bad, and this writer's intuition is that much of it is far from just that. Salvation and a kingdom could be at hand in truth! Now reader, looming on the closing of this essay, let us not forget that the upcoming September 12th is the 65th anniversary of the "Flatwoods Monster" incident, as well as another monumental event—an overlooked event! This is an event where numerous UFO sightings occurred along the east coast of America, which has now come to be known as the "September 12, 1952 Flap." On that historic day, there were numerous documented UFOs sighted, which flew, landed, and or were forced down by jet fighters ordered, Presidentially, to "Shoot Them Down." This becomes abundantly apparent when Feschino documents the flight characteristics of four UFOs which eyewitnesses described as being on fire, exploding with pieces falling away from these strange craft, making strange in-flight noises, flying erratically (many at tree top level), all while making crash-landings (or being forced down!) throughout the east coast. 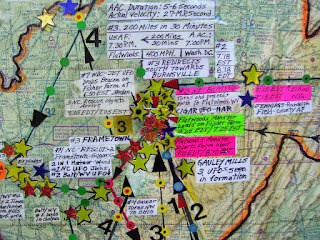 Ultimately, Feschino pinpointed 116 locations in ten east coast states during 21-hours of sustained active that day and was able to segregate these numerous objects by their shapes, sizes, colors, manner, locations, flight paths and sighting times along a trace of their flight paths! 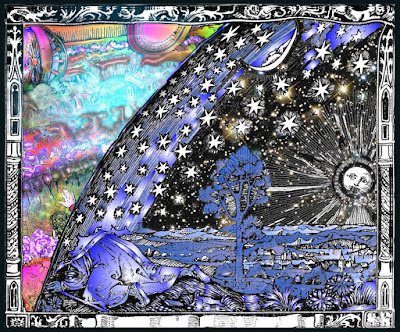 He concluded that twenty-five different unidentified objects had actually passed over ten eastern States during the "September 12, 1952 Flap," including, Delaware, Maryland, North Carolina, Ohio, Pennsylvania South Carolina, Tennessee, Virginia, Washington, DC, and... West Virginia. One of those four damaged craft landed in Flatwoods, West Virginia. From it emerged a twelve-foot-tall corporeal being of some existentiality, subsequently terrifying a group of unsuspecting local citizens. 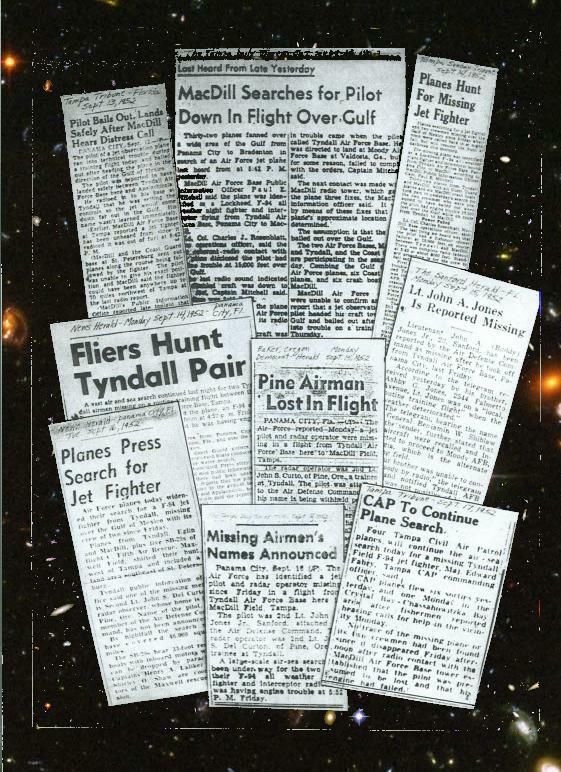 The repercussions of this event shocked the entire world and is still remembered today, thanks to the likes of persons the caliber of Frank Feschino, Jr., Stanton Friedman, and the many others since the 50s, persons who assisted in discovering the truth about this very compelling close-encounter incident. It was certainly a monster of the time. CE3K stuff, this writer says true. Closing at last, reader, let us now reflect, again, upon what Robert Farnsworth shared on July 29, 1952. "I respectfully suggest that no offensive action be taken against the objects reported as unidentified, which have been sighted over our nation. 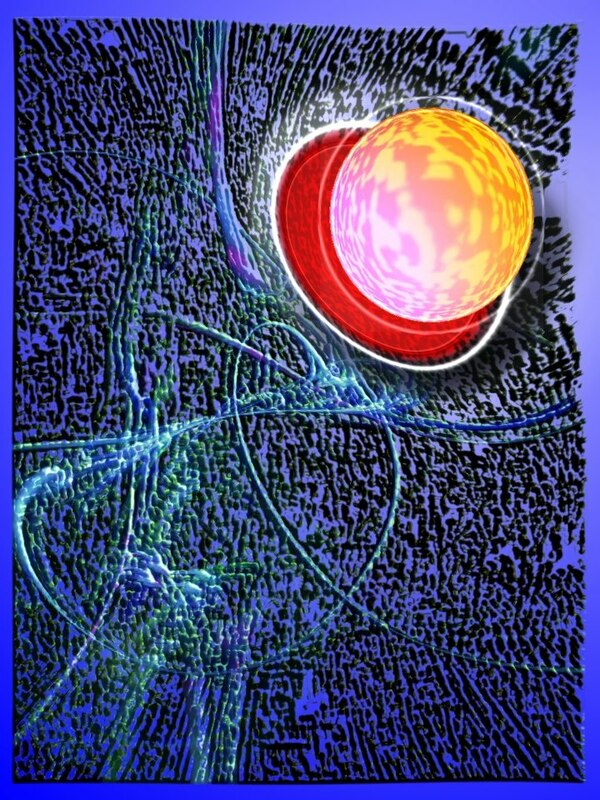 Should they be extraterrestrial—such action might result in the gravest consequences, as well as possibly alienating us from beings of superior powers. Friendly contact should be sought as long as possible." Real in the corporeal existential, eh? "Shoot them down." losing persons and planes to the homicidal psychotic or... cue unsettling music. Before: Numbers for who needs 'em, charts of "lurid" death, and questioning one's own courage. Consider now these TWO points from the aforementioned books of Frank C. Feschino, books making a believable case for a secret air war with ET in 1952. This writer is quite beyond apologizing for how silly that sounds. 1.Between 1951 and 1956 the New York Times further reported that 131 United States Air Force fighter jets were destroyed over the United States and its Coastal Waters as compared to their 83 Jets lost in the air-to-air combat events during the entire Korean War. 2. Between 1951 and 1956 the New York Times reported that the Air Force, Navy, and Marine Corps had a total amount of 188 fighter aircraft (Jets and propeller-driven craft) destroyed over the United States and its Coastal Waters. 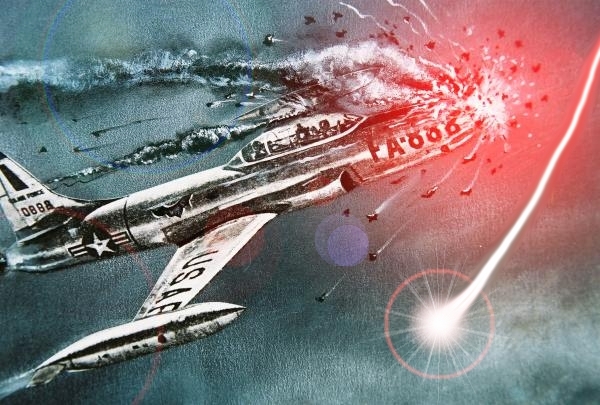 Puzzlingly, the Air Force lost a total amount of 104 Fighters, Jets and propeller-driven craft, in the air-to-air combat events during the totality of the Korean War. The disconnect is obvious. How can there not be more losses during combat than simple, forget fruitless interdiction missions completed in a comparably "safe and sound" USA... the Soviet enemy is never detected by the GOC nor our forces engaged in air combat... with Russians! A retired military Master Aviator himself, this writer offers that these peacetime losses doing comparative milk-runs would not be remotely tolerated; a problem in training, command, and control would be identified and any problem would be solved, heads rolling for ball-bearings! Serving in Army aviation for well over two decades, this writer remembers Command's attitude regarding "unexplained losses." Losses blithely allowed to accrue! 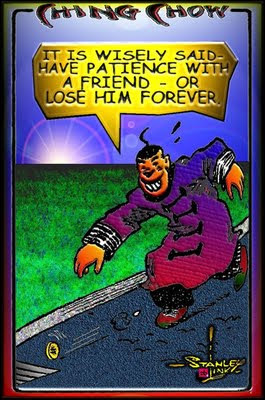 ...Unless there was imperative, reader, a justification for such loathsome losses... losses even admitted to! 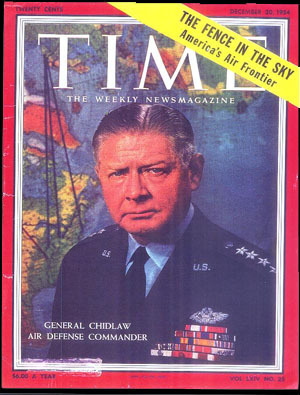 General Benjamin Chidlaw, Head of Air Defense Command, said, "...We have stacks of reports about flying saucers; we take them seriously when you consider we have lost many men and planes trying to intercept them." Bluebook Chief Edward Ruppelt, moreover, is quoted to say, "...There have been other and more lurid duels of death..." What were these men so very solemnly on about with regard to Stateside "training missions" and "milk runs"? Back to you, Pilot. Subsequent to your disappearance, there would be an investigation of your inexplicable if presumed death. The facts and evidence entered would be a maze of contradictory details and a reportage not providing the remotest sense or sensibility... not justifying the terrible losses in any way. Again... this does not happen! Pilot error. That would be your legacy, one of incompetence, ineptitude, but a perceived lack of skill and ability. Infidelity? Shame and shamefulness? Futility? Who were you, Pilot? Who were you? Were you among the many we now name, Pilot? 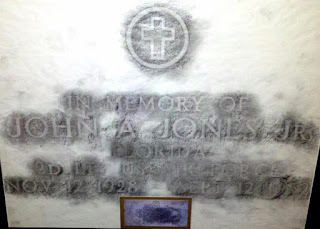 Were you John A. Jones, Jr., Felix Moncla, Virgil Plunkett, or John Chambers? Smith, Cocker, Samson, or Johnson? Adams, Taylor, Moore or White? 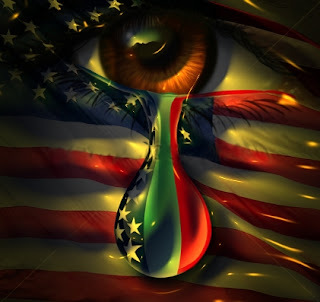 Your names and the names of many other unsung heroes are on the way to Legion, two hundred strong as indicated above... but you were doomed instead to historical banishment, ignominy, and discredit... your record an oprobrium. How is this left to stand? Maybe, Pilot, you were Captain Hobart Gay, Jr., the Air Force fighter veteran who was killed stateside in August. The New York Times reported that this Korean War hero died in an "unexplained crash of an F-94 all-weather jet fighter... when it plunged into Vineyard Sound," near Falmouth, Massachusetts. Prior to his death, the pilot had been in "105 combat missions in Korea and earned the Distinguished Flying Cross and Air Medal with three Oak Clusters in thirteen months, Far East duty." It was stated by a spokesman at Otis AFB "that Captain Gay was believed to have been trapped in the cockpit of his plane when it crashed." Trapped in the cockpit. What unsupported conjecture, that? Not only was this highly decorated war hero involved in an "unexplained" crash stateside after returning home from 105 combat missions in Korea, officials believed the pilot was, and conjectured only, in some way trapped in the cockpit of his plane when it crashed! Something does not add up here, reader! What was he doing out there, to start? Let us not forget the 130-combat-mission-WW II-pilot Colonel Councill who vanished under mysterious circumstances on April 5, 1954. The Air Force said he "disappeared shortly after taking off on instruments in a heavy overcast" in his F-80 jet from Farmingdale, New York and bound for Langley Field, Virginia. It was reported that the pilot, "had been in trouble within five minutes after takeoff and might be down within fifty miles of the field." What? If this jet had crashed within five minutes of its takeoff from New York to Virginia, then why was its wreckage not found along its predetermined flight path? Why did the Air Force state that Councill's jet, "might be down within fifty miles of the field." Furthermore, why did no one on the ground hear or see a crash and why did the Air Force spokesman neglect to state why the pilot, "had been in trouble"? Sparse wilderness between those points, reader. Shallow bays. How's it not found, now, when from space we're finding articles and sites from thousands of years ago? Oh, and For the record folks: Councill set the United States jet cross-country speed record of 4-hours 13 minutes back on January 25, 1946. He was an ace's ace. Names, and the names of many other unsung heroes are on the way to Legion as indicated above but doomed to ignominy and discredit. These are not just wages. 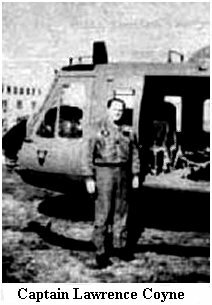 Consider, sadly, that missing Starfire pilot Second Lt. John A. Jones, Jr. was never mentioned to the public by the Air Force, nor even by his family after the initial newspaper reportage of his disappearance on September 12, 1952. Jones and his radar operator vanished over Gulf waters (?) near Tampa, Florida on an alleged, "Routine Weather Training Mission" after departing Tyndall AFB with several other jets during a huge influx of UFOs in the area at that precise time. "Routine Weather Training Mission," ...this writer's aging backside. As time passed, Jones was forgotten, entirely... wiped from records. He was as forgotten as was the whole set of mysterious circumstances leading to his fate... and that of his radar operator, John DelCurto. They just vanished, and while in contact with control. There one moment... gone the next. 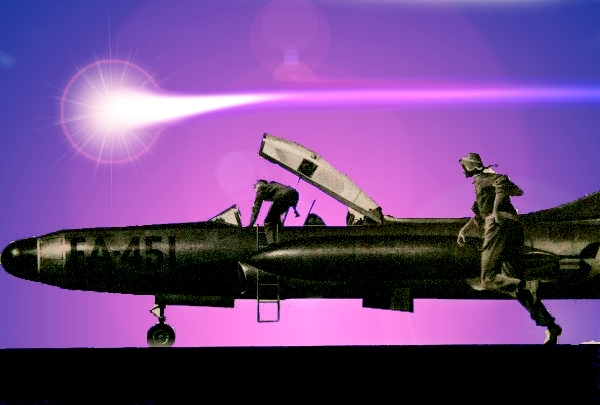 Years later and out of the public eye, people in Jones' own hometown of Sanford, Florida had no idea who he was, had no idea that he was a fighter pilot who had vanished mysteriously in the performance of his military duty and who was never. Seen. Again. How quickly the missing pilot was forgotten and relegated to the suspiciously unspoken. Shameful. Wrong. A moral tragedy. Enter Feschino. When Feschino discovered this incident, occurring on the same day and very shortly before the "Flatwoods Monster" incident in Flatwoods, WV ... during, remember, the biggest UFO flap in American history, he researched it thoroughly to make some pretty astonishing discoveries. He found, for example, that the Air Force reported that they had no official records of the pilot, himself, nor did they have a record of the incident providing for his disappearance on September 12, 1952! Additionally, further research disclosed that Jones was not even listed in the Florida Office of Vital Statistics. There was no death certificate for him! Yes reader, John Jones, Jr. not only vanished in his jet, he also vanished from the official record as well! What?! His slate was wiped clean; the Air Force Historical Research Agency stated, "Thank you for your letter requesting information about the lost pilots. Regrettably, our holdings do not contain the historical data you've requested. Sincerely, David R. Mills, Captain, USAF, Chief Inquiries Branch." A second effort to locate information was made to no avail. Official response? "Thank you for your letter. we checked the history of Tyndall AFB, FL for the time period mentioned in your letter, but did not locate any information on the incident you mentioned... Sincerely, Archie DeFate, Archives Branch." Next, the Florida Office of Vital Statistics was contacted about information concerning information about John Anderson Jones, Jr. of Sanford, Florida. They replied, "Florida vital records have been carefully searched but no record has been found that exactly matches the information on your application." How. Can. This. Be? It was not to be. Always in due diligence, if years later (persons named Jones are, ironically, not so easy to find), Feschino tracked down Jones' older brother. In inquiry, astonishingly, Feschino was provided with copies of the original documents sent to the Jones family by the Air Defense Command and Tyndall AFB; there were four (?!) Western Union Telegrams from top brass ADC Commander, General Chidlaw (?!) and one letter from Tyndall Base Commander, Colonel Kleine. 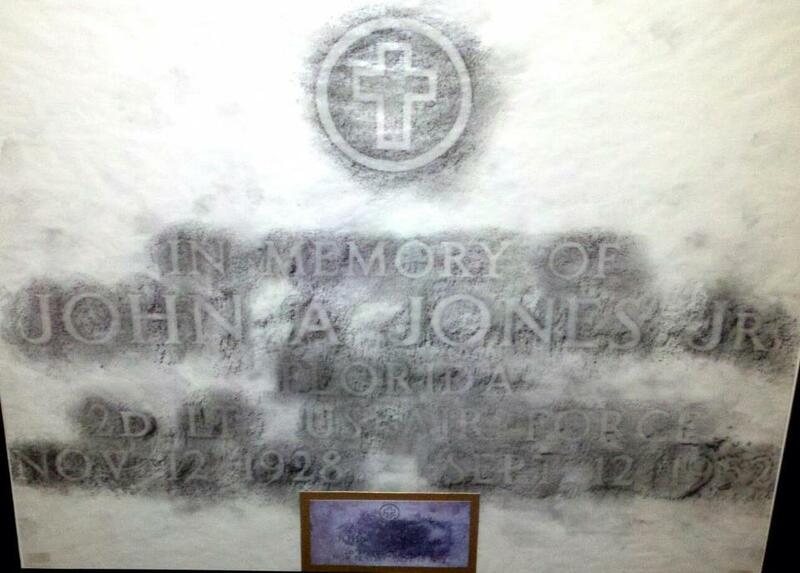 Here was hard official evidence of the dismissed existence of Lieutenant Jones. Subsequently, Feschino even tracked down the memorial headstone marking the empty grave of the pilot at the family plot located in Ocala, Florida. He photographed it and provided documentation for it, at last. Suspiciously... after all of this information about Jones was published in Feschino's publisher-flawed original 2004 book, "The Braxton County Monster," the official case file was then released by the Air Force, "Aircraft Accidents of 1952." Stanton Friedman obtained the September 1952 microfilm reel and gave it to Feschino, who then reviewed the September 12 cases. These were classified as "RESTRICTED." These are peculiar for losses during a "training mission." Yes reader (cutting to the chase), the Jones and DelCurto case was listed! It appeared as case number "52-9-14-4," the fourth major accident to have been documented that day of eleven cases... 10 other cases reader, and oddly enough, the accident case immediately before and the one immediately after the Jones incident... were missing! These were sent to higher classification. The reader has heard of "kicked upstairs." It's never a good thing. Why, this writer asks, reader? This writer, moreover, smells fish and hasn't seen Denmark since the late 1980's flying in and out of an M-1 tank gunnery range for the 2d Armored Division (Forward). "Fishy" understates. Feschino read, reviewed and dissected the official 65-page accident report and discovered it was heavily edited, not complete, and could best be described as a convoluted muddle of gross inconsistencies. He then cross-referenced the accident report with the information released by the Air Force in the original newspaper articles and the information contained in the documents sent to the Jones family from the ADC and Tyndall AFB, Panama City, Florida. Insanity follows. Next: Insentient suppositions, obligatory stonewalls, and ham-handed cover-ups: and a hero's Hero confirmed.